Sometimes a building may not be what it seems. The recent removal of siding at a Cathedral District congregate living facility reveals an interesting link to Main Street's era as a premier urban retail destination. 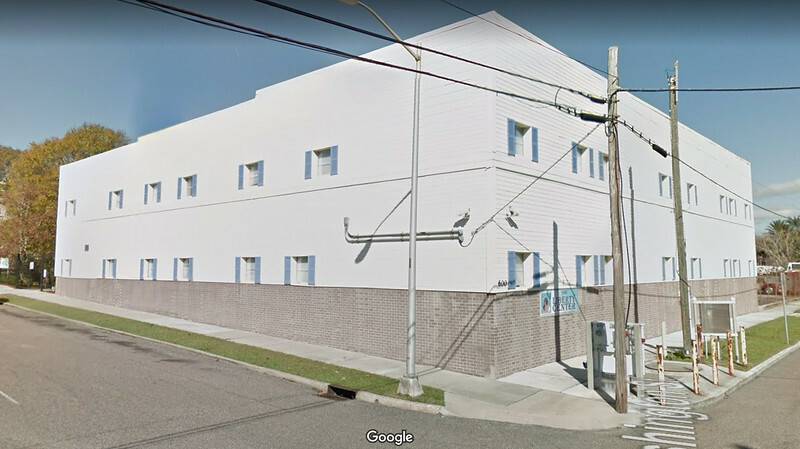 A 2017 Google Streetview image of the Rhodes-Futch-Collins furniture warehouse. A September 2018 image of the Rhodes-Futch-Collins furniture warehouse. 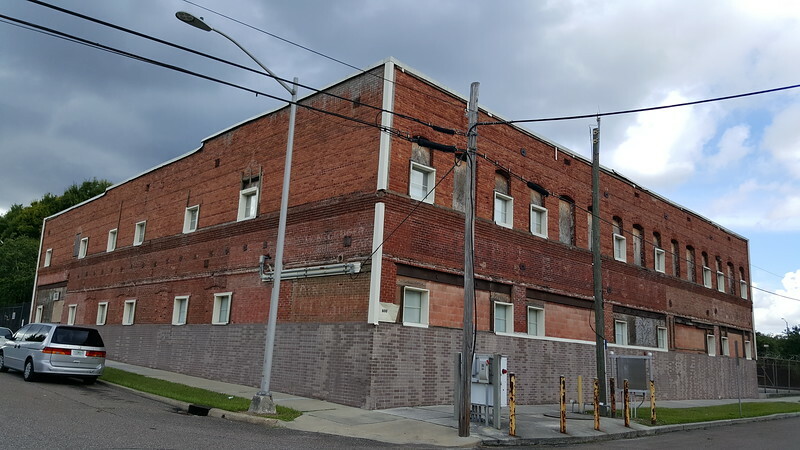 Located at the intersection of Washington and Ashley streets, the building actually dates back to 1909, when it was constructed as a warehouse for the Rhodes-Futch-Collins Furniture Company. 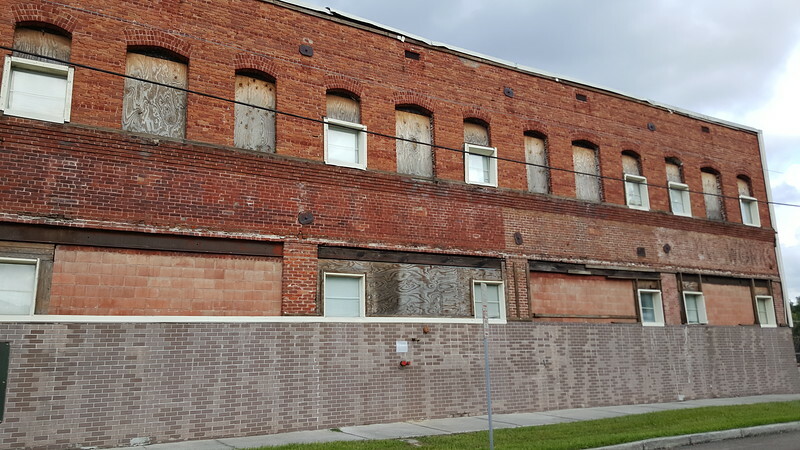 Associated with the then Atlanta-based A.G. Rhodes Furniture Company, the brick warehouse was built to store surplus stocks of furniture in support of the company’s retail space on nearby Main Street. Its design included a facade with five garage bay openings facing Washington Street and a stable for horses related to their wagon delivery service along East Ashley Street. 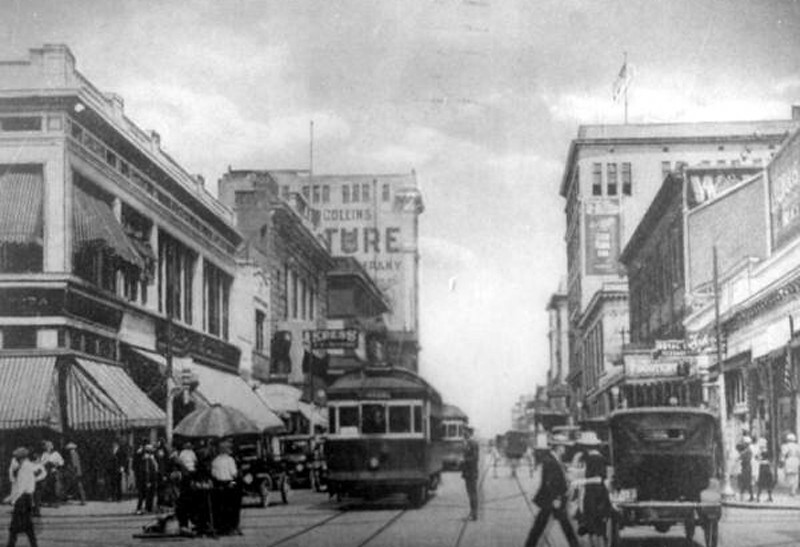 Before Jacksonville’s demolition frenzy and obsession with parking lots, Downtown’s Main Street was a pedestrian friendly retail district. Continued rapid growth led to Rhodes-Futch-Collins erecting the last reinforced-concrete skyscraper built in Downtown as a part of the post-Great Fire of 1901 building surge. Completed in 1914 and located adjacent to the original two story store at Main and Monroe Streets, the 10-story Chicago-style tower dominated the Main Street skyline for nearly 90 years before being demolished to make way for the Jacksonville Public Library’s main branch. 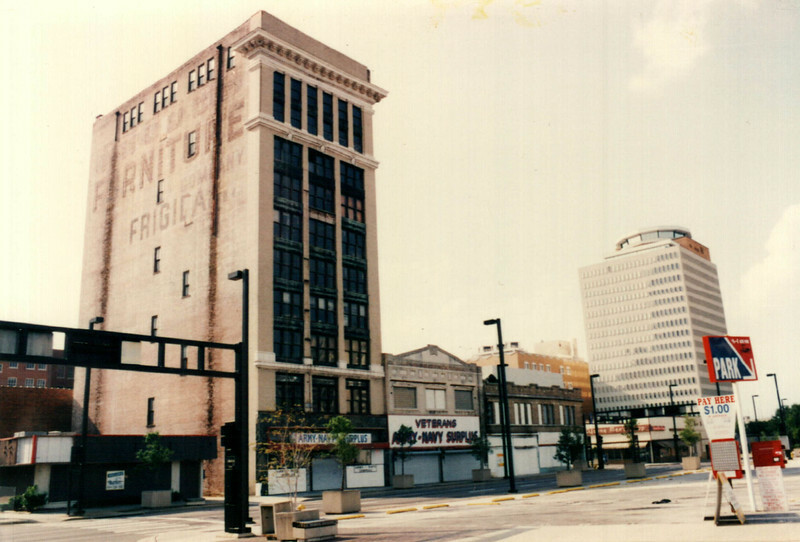 The vacant Rhodes-Futch-Collins buildings on Main Street during the 1990s. In 1995, the city approved a plan proposed by the Libert Center for the Homeless, Inc. to rehabilitate the building with design and landscape standards consistent with the nearby Cathedral Village development. This project converted the old furniture warehouse into a Section 8 moderate rehabilitation single room occupancy congregate living facility for 100 single adult women.